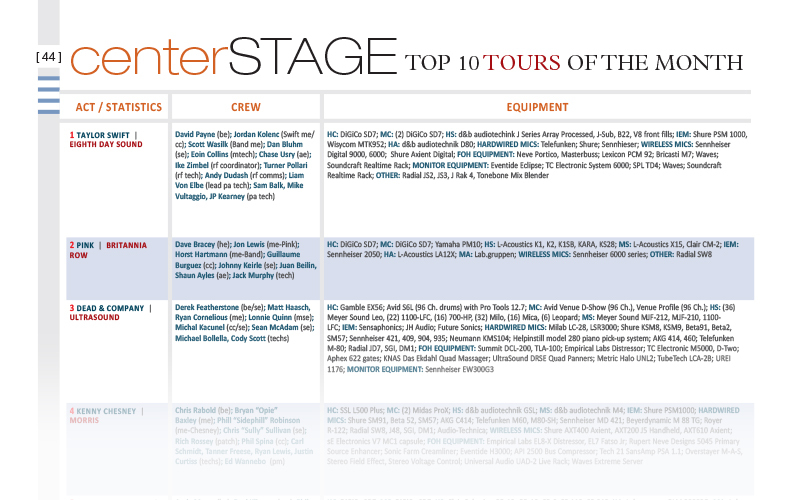 The following information is courtesy of the Pro Sound News CenterStage August article, where they provide the equipment notes for each month’s top grossing tours. 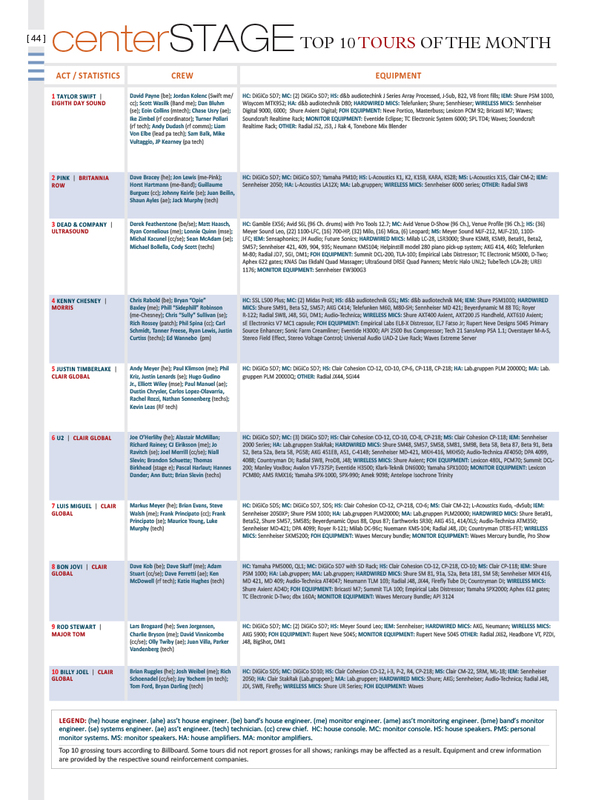 We are grateful to be featured in every act’s equipment list for August of 2018! A screenshot from Pro Sound News’ CenterStage of August 2018.